Arrive Bangalore by International flight. Assistance upon arrival and transfer to hotel. 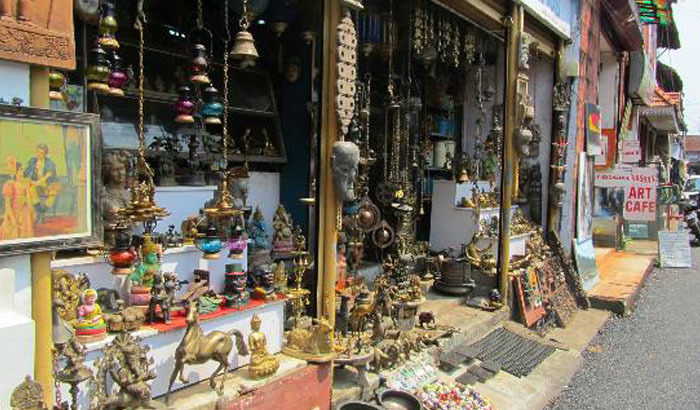 Bangalore: Founded in 1537 by Kempegowda, a far-sighted local chieftain and Bangalore has blossomed into one of Asia's fastest growing cities. 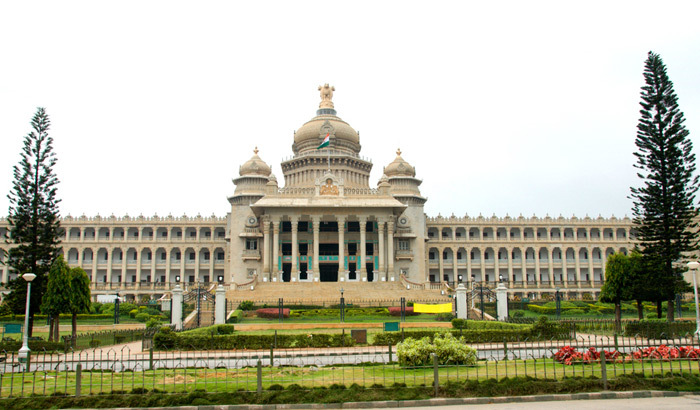 After breakfast sightseeing of Bangalore visiting :-Cubbon Park , Government Museum , Vidhan Sabha, Lalbagh Botnical Garden , Ulsoor Lake. After breakfast depart Bangalore for Mysore en route to visit Srirangapatnam. Srirangapatnam: 16Kms from Mysore is the town of Island fortress which stands in the middle of the river. Tipu Sultan, the Muslim ruler who has become a legend, waged war against the British with the French alliance from here. He was ultimately defeated here in 1799. After visiting Srirangapatnam, drive straight to Mysore arriving in Hotel . 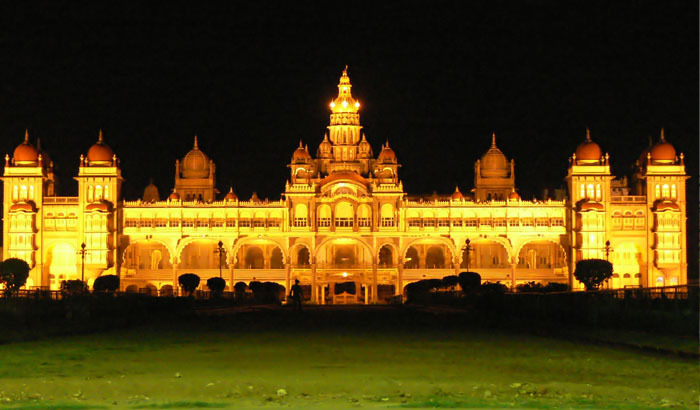 Mysore: Mysore city, known as the Garden city of India is 86 miles from Bangalore(South West) of the Chamundi hills serves as a backdrop to Mysore. During the Dussehra season people from all parts of the world come to the city and the nine days celebration of Navratri is climaxed by a spectacular procession by the 10th day. After settling down in Hotel depart for sightseeing of Mysore city visiting:- Chamundi Hill, Government Silk Factory, Sandalwood Oil Factory and Art Gallery. In the evening visit BRINDAVAN GARDENS and see the garden decorated with musical lights, dancing water fountain etc. After breakfast depart Mysore for Ooty arriving in Hotel. 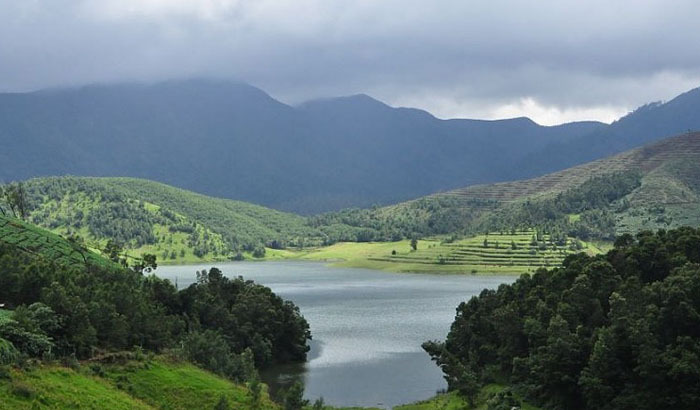 Ootacamund (Ooty): The Nilgiri hills in Tamil Nadu are an integral part of the great plateau occupying the junction of the Eastern and Western Ghats. It derives its names from "Nilgiri" or the 'Blue Mountains'- a name given to the hills by the inhabitants more than 850 years ago because of the blue haze of the clouds which envelope the hill slopes. 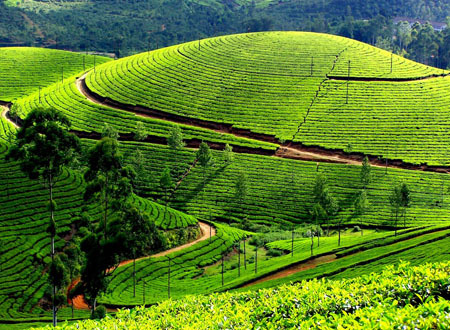 After breakfast depart for full day sightseeing of Ooty ( Ootacamund) visiting:-Botanical Garden, The Lake , View Point Like: Ketty Valley View , Doddabetta , Wenlock Downs, Lady Canning Seat, Dolphin's Nose. After breakfast depart Ooty for Cochin arriving in Hotel. 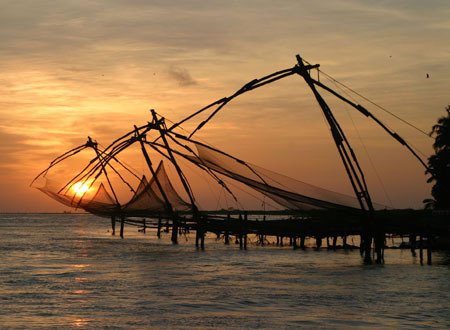 Cochin: Is regarded as one of the beauty spot of India. The port of Cochin is known as the queen of the Arabian Sea and the industrial hub of the state where the ancient civilisation mingles with the 20th century. 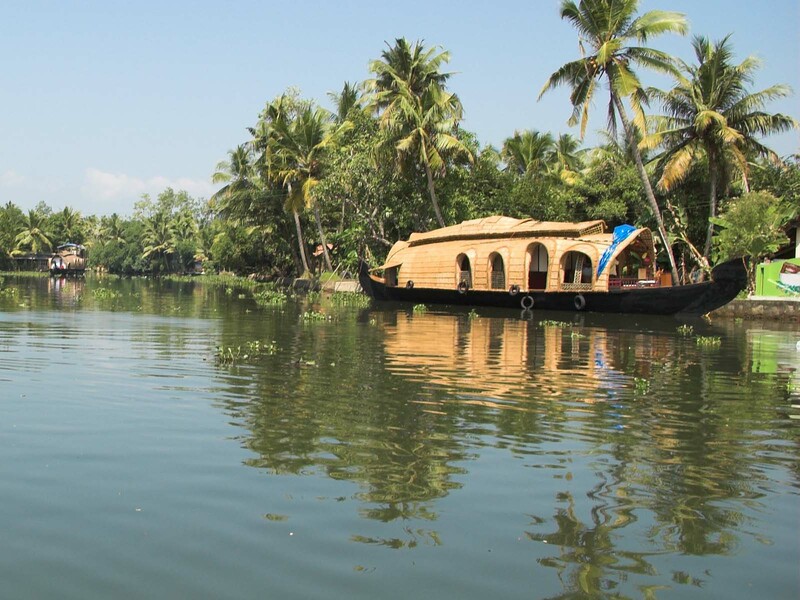 Cruising in the backwaters is a real pleasure and is the most fascinating way to observe the countryside. In the evening witness the famous Kathakali Dances at Cochin Cultural Centre. Kathakali Dances: A performance of the traditional Kathakali dance is one of Cochin's highlights. This form of dance theatre is dating back 500 years, can be seen nightly with explanation and narration. After breakfast sightseeing of Cochin City visiting:- Mattancherry Dutch Palace, Jew Town, St. Francis church, Chinese Fishing Nets, High Court Building, broad way shopping centre and Santa Cruz cathedral. In the afternoon enjoy a Harbour Cruise on the palm fringed water and see the Kerala way of life through the lake and places you will see during Motor launch ride on the back waters is Bolghatty Island, Vallarpadam, Vypeen Island And Ancient Roman Catholic Church. After breakfast depart Cochin for Periyar arriving in Hotel. 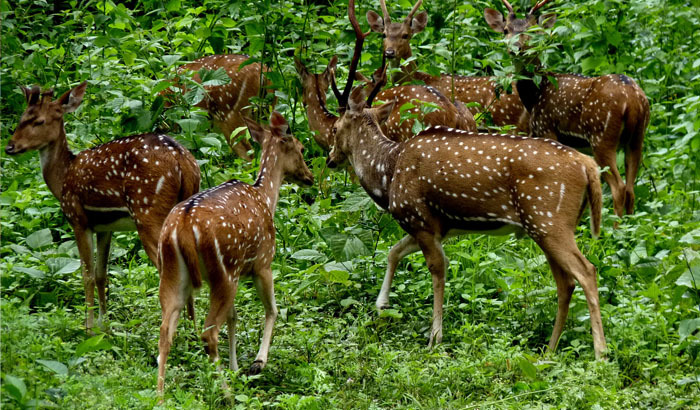 Periyar National Park :- Periyar is one of India's picturesque reserves. The sanctuary is set around the artificial lake formed by damming the Periyar river, led to the submersion of a large forest area and the formation of 55 sq. km lake. After lunch boat ride into Park to view the Wild Life. Early in the morning walk into the jungle to view wild life. After breakfast depart Periyar for Allephey to board on a jetty to houseboat. 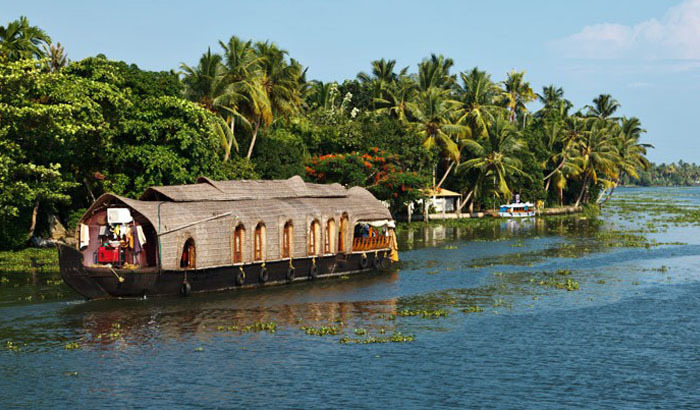 Beginning your journey from Alleppey and be sure to pack some fast action film to capture these scintillating moments, floating slowly past coconut palms dipping down towards the water and serene villages, as the moving landscape creates a living ­portrait of Kerala's rural life. Dinner and overnight in Houseboat. After breakfast depart Houseboat to the bank of the jetty where will meet and take you to Kumarakom arriving in Hotel. Full day at leisure to enjoy the cool breeze and enjoy pole line fishing, enjoy a boat ride to the nearby 14-acre Bird Sanctuary by the vividly beautiful Vembanad Lake, see the nesting storks and a variety of water fowl. After breakfast depart Kumarakom for Kovalam arriving in Hotel. Kovalam: It is a beach resort of international standards. The old palace of the Rajas, Halcyon Castle now Kovalam Hotel stands on a rocky bluff, overlooking the sea. After resting depart for afternoon sightseeing of Trivandrum City visiting :-The Kanakakunnu Palace, Sree Padmanabhaswamy Temple, Sri Chithra Art Gallery, Kuthiramalika (Puthenmalika). After breakfast depart for full day excursion to Cape Comorin en route to visit Padmanabhapuram Palace. Padmanabhapuram Palace. This majestic old palace on the way to Nagarcoil is famous for its 17th and 18th Century murals, carved mahogany ceiling, coloured mica windows, secret underground passages, inner courtyards, durbar hall, museum, four poster medicinal bed. The palace is built in the traditional architectural style. After visiting Padmanabhapuram Palace drive straight to Cape Comorin. Cape Comorin: Kanyakumari is the "Land's End" of the Indian sub-continent. Here the Bay of Bengal meets the Indian Ocean and the Arabian Sea and at Chaitrapurnima (the Tamil name for the full moon day that generally falls in April). Return and Overnight stay in Hotel. Full day free to enjoy at Kovalam Beach It is sheltered coves and white sands of Kovalam beach which is one of the best beaches of India. Palm-fringed bays in secluded coconut groves, promise a relaxed evening. Morning transfer to Trivadrum Airport for flight back home. Arrive Chennai by International flight. Assistance upon arrival and transfer to hotel. CHENNAI (MADRAS): Capital of the state of the same name is the gateway to a pleasant land, the city of an ancient civilization exemplified in its many monuments of the past with a rich heritage of culture. The Marina Beach in Madras is considered to be the second largest beach in the world. Mahabalipuram: It is 57 Km from Chennai and once a flourishing port of the Pallavas is now a Major Beach Resort. Beautiful monument erected by the Pallavas. There are sculptural panels, Caves, Monolithic Rathas and Structural Temples. After visiting Mahabalipuram drive straight to Pondicherry arriving in Hotel. 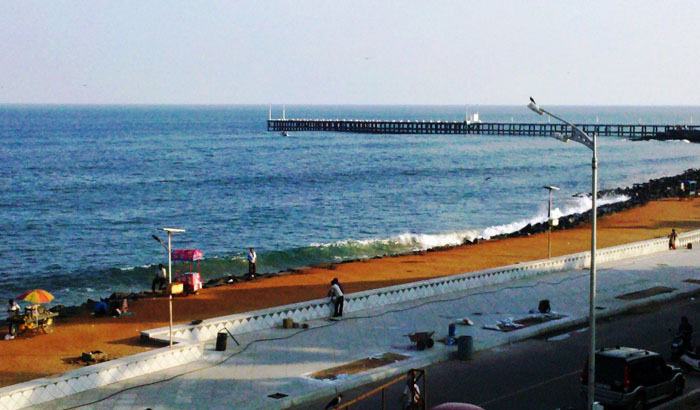 Pondicherry: Pondicherry is 160 Km from Chennai. An ancient city, was prosperous as early as the 1st Century and trades with a Roman settlement. Legend has it that Sage Agastya built his Ashram here and Pondicherry became a Vedic centre. After settling down in the Hotel depart for sightseeing of Pondicherry city visiting:-The Beach, French Institute, Romain Rolland Library, Sri Aurobindo Ashram, Vedapuriswar Temple, Eglise De Sacre Coeur De Jesus As Also Auroville -An international township arising from the philosophical teachings of Sri Aurobindo and his spiritual collaborator the Mother. After breakfast depart Pondicherry for Tanjore arriving in Hotel. 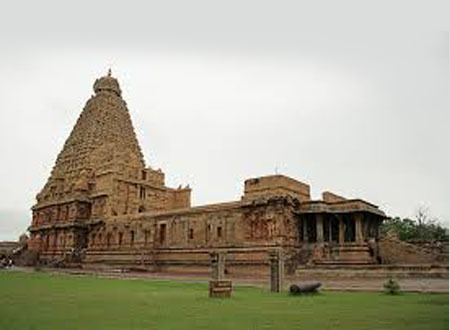 Tanjore: The grandest temple in all of South India, the Brahadiswara Temple in Thanjavur, the headquarters town of the district is noted for its superb religious, historical and artistic associations. In the afternoon depart for sightseeing of Tanjore city visiting :-Sri Brahadiswara Temple, Art Gallery, Library, Hall Of Music, Schwartz Church, The Tank. After breakfast depart Tanjore for Madurai en route to visit Tiruchirapalli. Tiruchirapalli: Situated in the banks of river Cauvery, the Chola Centre from the Sangam Age. The Nayaks of Madurai built the town and the Fort which played a vital role in the Carnatic war in the 18th Century. The Rock Fort, Srirangam, Sri Ranganatha Temple. After sightseeing drive straight to Madurai arriving in Hotel. Madurai: The second largest city in Tamil Nadu and one of the oldest cities of India, is celebrated for its Meenakshi Temple which is an exquisite example of this style and architecture, has nine majestic Gopuram. In the evening visit Meenakshi Temple during Pooja. After breakfast full day sightseeing of Madurai visiting:-Tirumalai Nayak Palace and Vandiyur Mariamman Tank Koodal and Gandhi Museum. After breakfast depart Madurai for Periyar arriving in Hotel. Periyar National Park: Periyar is one of India's picturesque reserves. The sanctuary is set around the artificial lake formed by damming the Periyar river, led to the submersion of a large forest area and the formation of 55 sq. km lake. 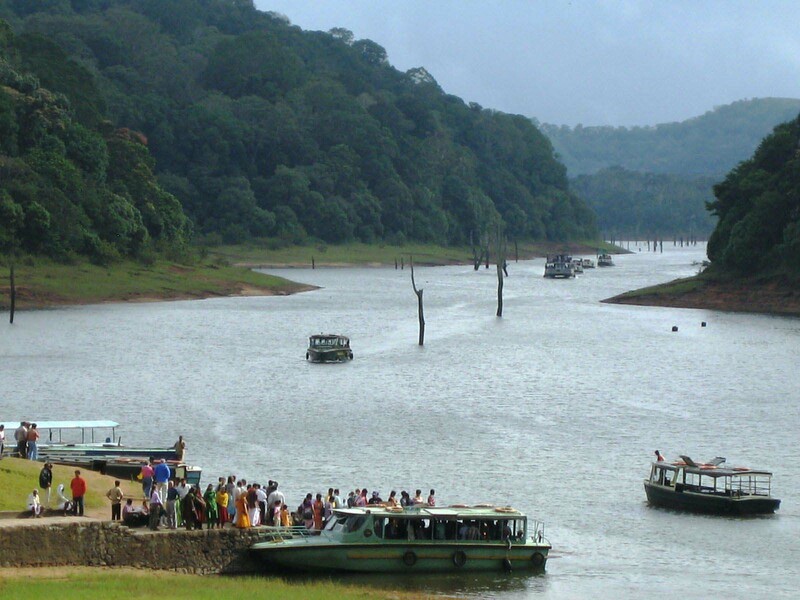 In the afternoon enjoy boat ride on Lake Periyar to view the Wild Life" The clients will have to stand in the line for purchasing tickets for the boat ride. Early in the morning enjoy walking into the jungle for viewing Wild Life. After breakfast depart Periyar for Munnar stopping en route to see Spice Gardens where one can see the Tea Estates, Cardamom tree, Rice Plantations and Rubber Plants etc. After seeing continue drive to Munnar arriving in Hotel. Munnar: The Land of the Miracle Blossom - Legend has it that mountain maidens who were the best of friends fell under a curse and were separated from each other. After breakfast sightseeing of Munnar visiting:-Christ's Church, Eravikulam National Park, Anamudi (South India's Highest Peak), Top Station and Tea Processing Factories. In the afternoon drive straight to Cochin arriving in Hotel. 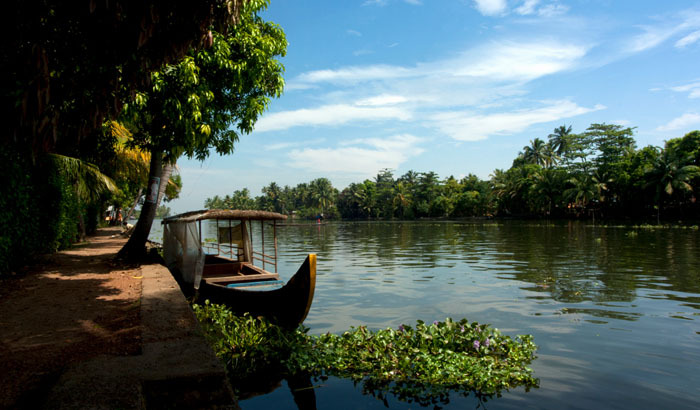 Cochin: Is regarded as one of the beauty spot of India. The port of Cochin is known as the queen of the Arabian Sea and the industrial hub of the state where the ancient civilization mingles with the 20th century. After breakfast sightseeing of Cochin City visiting :-Jewish Synagogue, Mattancherry Dutch Palace, Jew Town, St. Francis church, Chinese Fishing Nets, High Court Building, Broad Way Shopping Centre And Santa Cruz Cathedral. After breakfast depart Cochin for Alleppey arriving at the jetty to board on houseboat. Beginning your journey from Alleppey, be sure to pack some fast action film to capture these scintillating moments, floating slowly past coconut palms dipping down towards the water and serene villages, as the moving landscape creates a living portrait of Kerala's rural life. Rest of the day free at lesiure. After breakfast depart Kumarakom for Trivandrum arriving in Hotel. Trivandrum :-The capital city of Kerala, Thiruvananthapuram is situated at the south western tip of India. The city built across seven hills, still retains its regal ambience with a number of colonial and traditional buildings. In the afternoon sightseeing of Trivandrum city visiting :- The Kanakakunnu Palace , Sree Padmanabhaswamy Temple, Sri Chithra Art Gallery, Science and Technology Museum , Kuthiramalika (Puthenmalika). After sightseeing of Trivandrum drive straight to Kovalam arriving in Hotel. 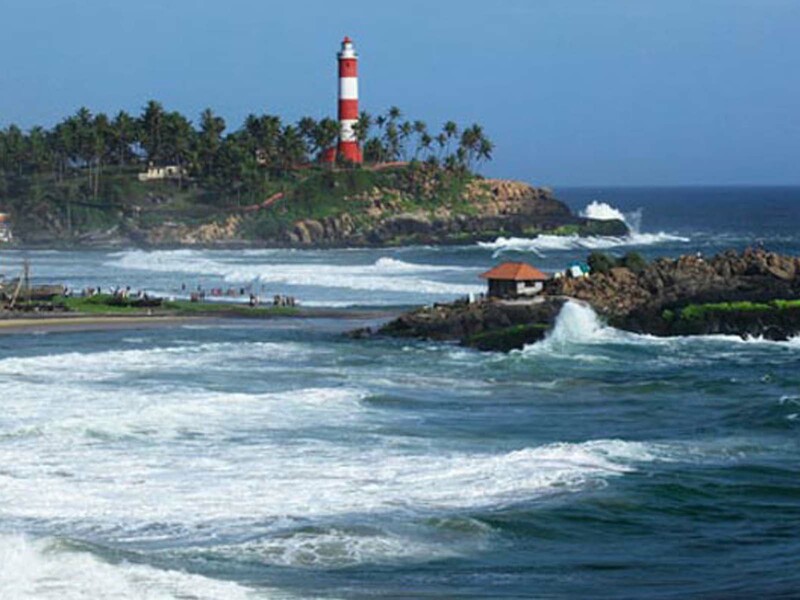 Kovalam: It is a beach resort of international standards. The old palace of the Rajas, Halcyon Castle, now Kovalam Hotel stands on a rocky bluff, overlooking the sea. After breakfast depart for full day excursion to Cape Comorin(Kanyakumari) visiting en route to visit Padmanabhapuram Palace. Padmanabhapuram Palace. This majestic old palace on the way to Nagarcoil is famous for its 17th and 18th Century murals, carved mahogany ceiling, coloured mica windows, secret underground passages, inner courtyards, durbar hall, museum, four poster medicinal bed. 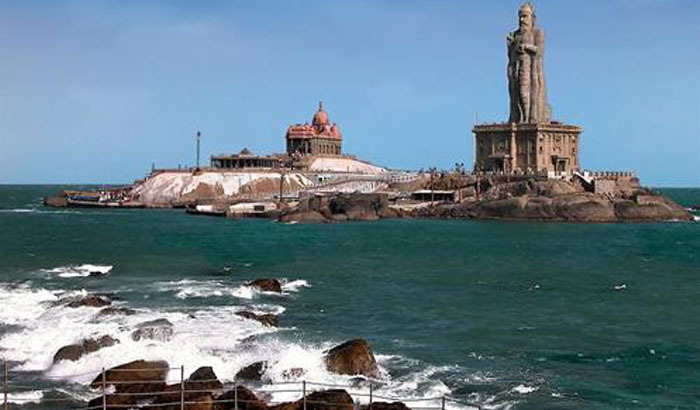 Cape Comorin: Kanyakumari is the "Land's End" of the Indian sub-continent. Here the Bay of Bengal meets the Indian Ocean and the Arabian Sea and at Chaitrapurnima (the Tamil name for the full moon day that generally falls in April), it is possible to enjoy the unique experience of seeing the sunset and the moon rise over the ocean simultaneously, it's a common belief that this is the only place that it is possible to observe this. Morning transfer to Trivandrum airport for flight to onward destination.